I thought about this category a lot and decided that since we were still in transition in the HOUSE FROM HELL our pictures from last year were less than stellar. So I decided to share the pictures from 2014 with you. 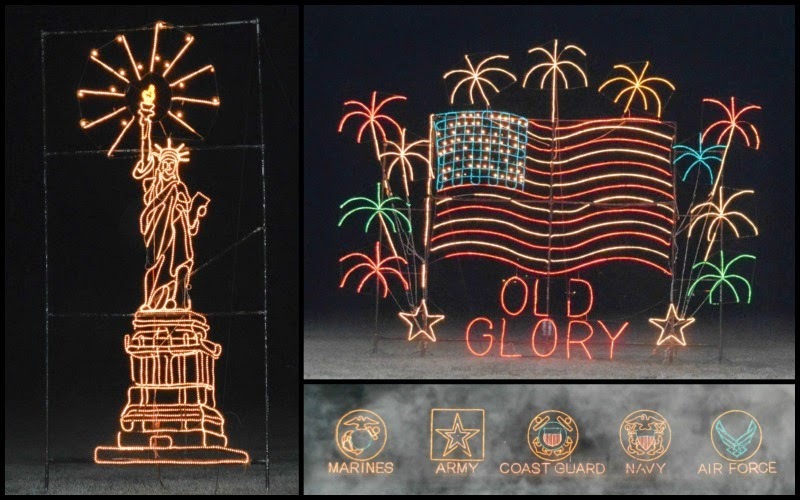 These pictures from the Festival of Lights we used to do each year is now over 20 years old and a great way to kick off the holiday season. It's ALL Volunteer and NON-Profit. 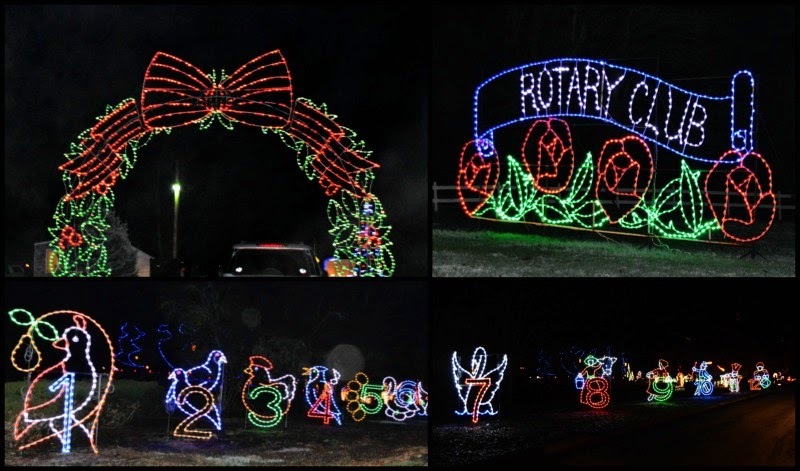 It began as a fundraiser sponsored by the Rotary Club to help get the city out of debt and then took on a life of its own and now helps with scholarships and special projects. 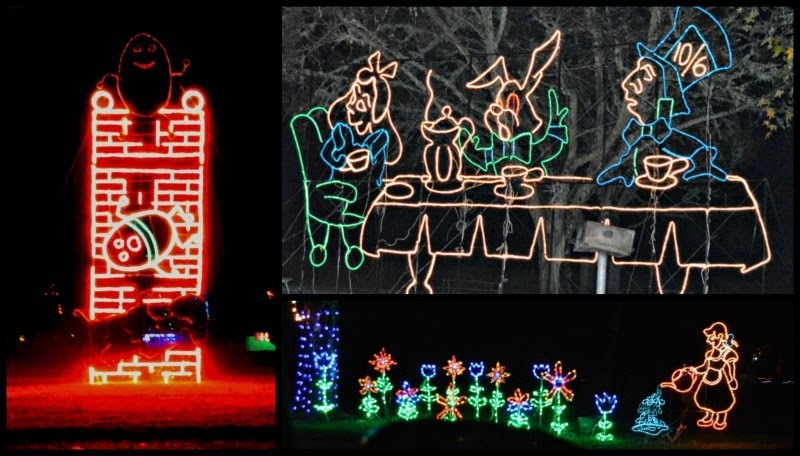 The festival runs every night from Thanksgiving to New Years. 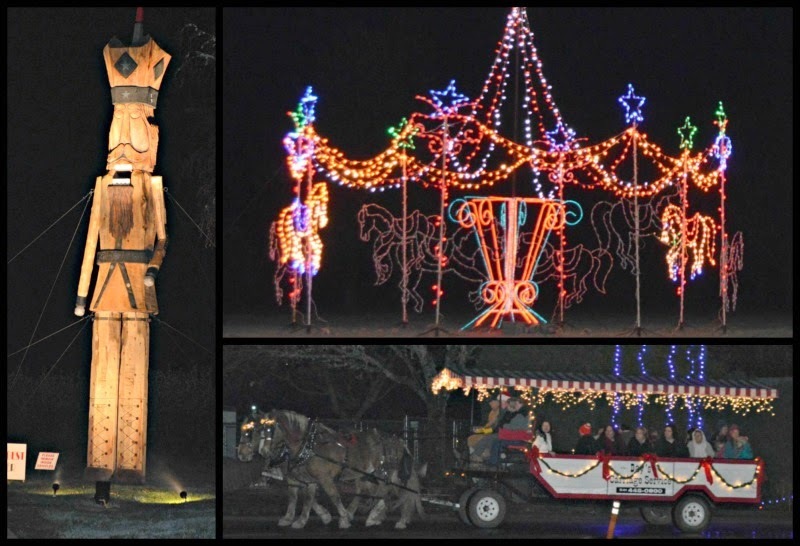 You can drive your own car or take a horse drawn carriage ride through the displays. 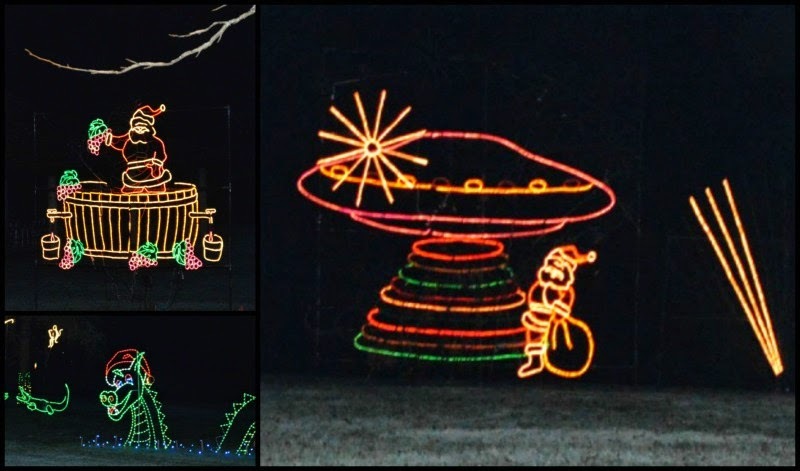 They have also coordinated a local radio station to listen to as you view the displays. The night we went through the fog was moving in early so a few of the pictures look a bit "smoky". 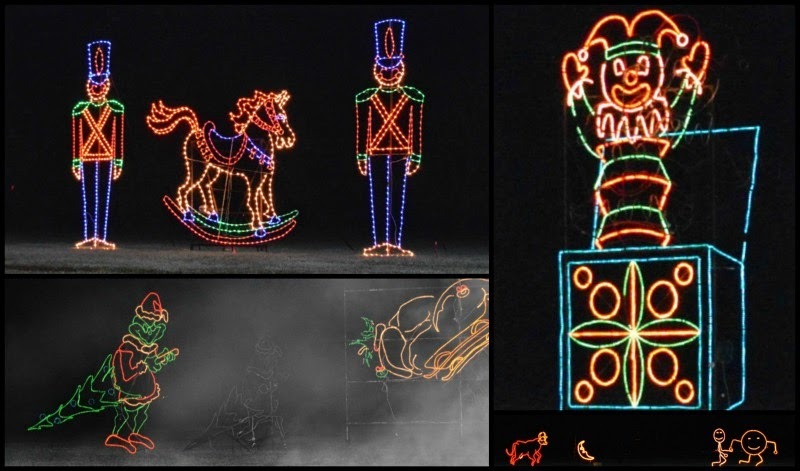 As of 2014 they had the world's tallest (41 feet, 16,000 pounds with working jaw) nutcracker built by a local company, 500,00 lights, 90 animated displays, 3D displays, horse drawn carriage rides through the displays and a Holiday Village with Santa, hot cider with a bake sale and a synchronized light show in the courtyard. 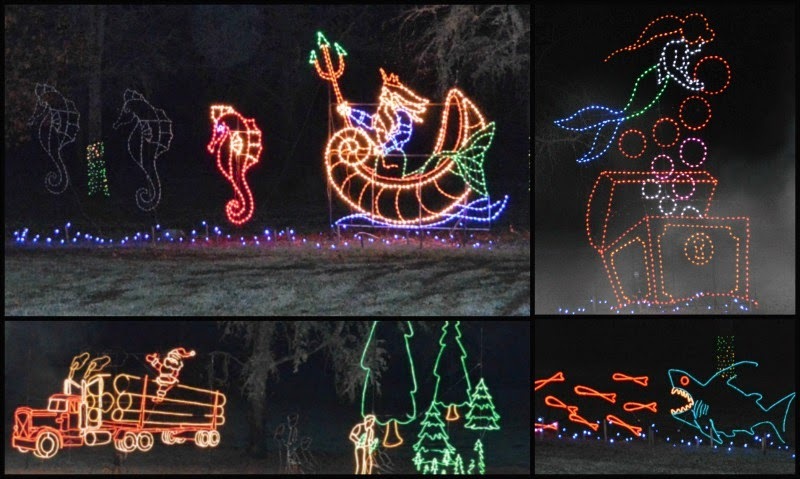 The displays depict fairy tales, the military, patriotism, the local logging industry, local vineyards, local fishing and the traditional Christmas songs and scenes. People come from all over to see it. Unfortunately for locals, it doesn't change much, but is still fun every few years.